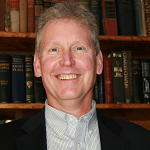 As ATD-SCC President, John Weidner provides executive leadership to the Chapter. He is responsible for working closely with the Chapter’s Board to establish the vision, mission and key objectives that will continue to advance the Chapter’s reputation as thought leader and purveyor of innovation. John is further responsible for assuring that the Chapter meets all ATD National Chapter Operating Requirements. 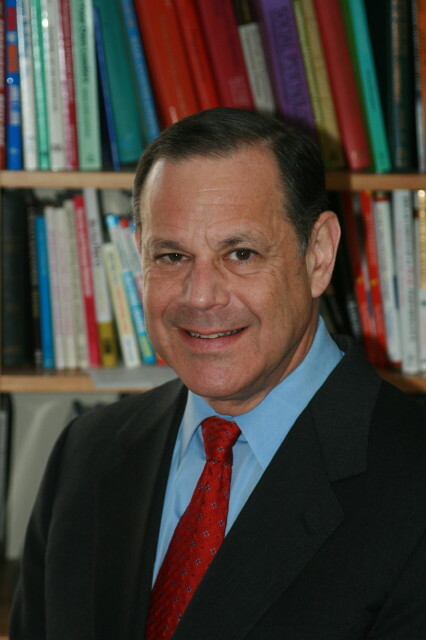 John is Founder and Managing Partner of Cornell Global LLC, a Human Capital Strategy Consulting firm. Working with various sized companies across various industry sectors, John strives to drive increased company valuation through leadership development, talent acquisition and innovative people focused programs and processes. John’s corporate career included progressively responsible positions with Price Waterhouse, Bankers Trust, E. F. Hutton, Chemical Bank and later G.E. Capital. Since leaving corporate, John has founded three management and career coaching consulting firms; Cornell Global LLC, Pierway Associates LLC and Heroes in Transition. John attained his Masters Degree from Boston University and a Bachelors Degree from Westminster College. As President-Elect, Hugh Seaton will introduce new technologies to our members, from mobile tech to VR and beyond. As human-centered technologies continue to advance, familiarity with what's out there and useful will be helpful. Hugh started his career in Taiwan, learning Mandarin Chinese while he helped a Taiwanese steel firm learn to produce new products. Moving to Hong Kong in 1996, Hugh began a career in advertising that included brands such as Sony, AOL, Google, Pepsi and more in both the US and Asia. In 2012, while consulting on internal branding projects, it became clear that training was an even greater challenge and need than branding, and Hugh began working on internal strategy training. This led to the realization that technology could help client companies more effectively train their whole workforces, not just those at the top.in 2015, Aquinas Training was formed, to create the software solutions that enable this broad-based training. Currently offering mobile solutions, with Virtual Reality products on the way, Aquinas Training is dedicated to innovating new ways to provide seamless learning experiences to managers, employees and those in transition wherever they choose to engage with learning content. Hugh received his BA in Sociology from Miami University of Ohio in 1994, and his MBA from both Columbia University and London Business School in 2004. As Past President of ATD-SCC,Ross Tartell is responsible for onboarding the new president, Chapter Succession Planning and CARE reporting to ATD National. Ross specializes in talent development, executive coaching, and leadership development. He is a Senior Associate with the Organizational Performance Group (OPG) and Principal at Ross Tartell, Ph.D., Consulting LLC. Earlier, Ross was North American Learning Leader for GE Capital Real Estate. He also spent 18 years at Pfizer Inc. Positions included Regional Learning Leader, Director Team Leader for Instructional Design, and Director Team Leader for Leadership Development. Ross is an Adjunct Associate Professor at Teachers College, Columbia University. He has published articles and made presentations on Leadership, Talent Development, Training Evaluation, and Employee Engagement. He also serves on the editorial boards for Training Magazine and The OD Practitioner. He received his B.A. in Social Science from Hofstra University, and his M.B.A in Management, and Ph.D. in Social Psychology from Columbia University. As Chapter Business Manager, Michele Beccarelli, SPHR, SHRM-SCP, oversees chapter operations. She served in a similar role for the Southern CT Chapter of SHRM, with whom we occasionally hold joint events. Michele was also Director, Marketing, Communications and Website for SOCT SHRM, and served on its board for 18 years, and is a former chapter President. She brings a wealth of experience, knowledge and know-how to our chapter. Michele has been a Human Resources Consultant and Career Coach providing HR, career coaching, and operations consulting services. She has experience as a Human Resource Leader and HR Director in Fortune 500 and private organizations in diverse industries. In addition to her background as an HR Generalist, her expertise includes communications, change management, project management, mergers and acquisitions, and HR for start-up organizations. Michele holds a BS in Business Administration from Mercy College. As Director of Technology, Anne Cheng is our Webmaster, and is responsible for the design, maintenance and improvements to our chapter website, using Wild Apricot and NewTek Business Services. She is an Instructional Designer and a Technology Education professional with ILT, WBT, online blended-learning and staff training experience. She was a Senior Microsoft Applications Instructor for New Horizons CLC, an Adjunct Professor for the University of Bridgeport, and owned a technology-education franchise. She has taught 100+ technical and soft skills courses, Masters-level educational technology courses, and trained her 55 staff members. Anne earned her Master's of Education and Master's of Instructional Technology at the University of Bridgeport. She earned ATD's certificate program "eLearning Instructional Design" in 2015. She is a member of ATD National She is a member of ATD National and ATD Southern Connecticut. As a Co-Director of Social Media, Layne Rodney co-manages the Facebook, LinkedIn and Twitter presence for the chapter. As the Vendor Relationships chair, he is responsible for building relationships with vendors to secure sponsorships for monthly chapter meetings. These relationships both support the chapter’s mission and spotlight vendor products and services. Professionally, Layne is an account executive at P&P Studios, a mid-sized media production company with over 40 years experience that specializes in video production in the training field. Layne has worked in the AV industry for over four decades and has established himself as a solution-oriented service provider. Layne holds a B.S. in Aviation from Dowling College. Breakthrough Coach at Accomplishment Coaching. As a Co-Director of Social Media, Sandra Long co-manages the Facebook, LinkedIn and Twitter presence for the chapter. Sandra Long is a popular speaker, trainer, blogger, author, consultant and the owner of Post Road Consulting LLC in Westport. Sandra’s new book is called “LinkedIn for Personal Branding: The Ultimate Guide.” Her training programs are primarily delivered to corporate sales, HR, and executive teams. 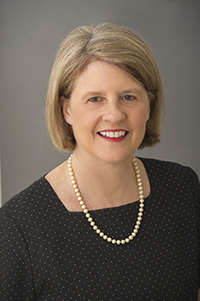 Her most popular speaking topics include “Distinguish Yourself: LinkedIn and Personal Branding” and “Remarkable Relationships and the LinkedIn Connection.” Prior to starting her speaking, training and consulting business, Sandra spent many years in various sales leadership roles at Pitney Bowes. Sandra graduated with a bachelor’s degree in Anthropology from the University of Rochester. As the Director of Finance, Jeff Stuart works closely with the Chapter’s Board members to monitor the Chapter’s on-going financial operations. He assists in the completion of year-end tax reporting to document the Chapter’s on-going nonprofit activities. He assists the President in the completion of the year-end Core Compliance report which goes to the national ATD affiliate. Jeff works at Citrin Cooperman & Company LLP, a top twenty five national accounting and advisory firm. He is a director in the Connecticut office, providing a mix of audit, accounting, and tax compliance services to closely-held businesses. The industries he services are vast. He has extensive experience in the audit of employee benefit plans. Jeff holds a bachelor’s degree in Accounting and Sociology/Anthropology from Assumption College in Worcester, Massachusetts. He is a licensed Certified Public Accountant in the State of Massachusetts and is a member of the American Institute of Certified Public Accountants. As the Co-Director of Programs, Beiwen Zhu is responsible for providing professional development, knowledge sharing and networking opportunities for ATD SCC members. 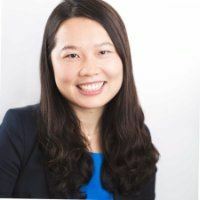 Beiwen is a core member of the Leadership Solutions Practice at Deloitte Consulting with a primary focus on leadership strategy and development, particularly in the context of organizational transformation. She has consulted clients with varying sizes, ranging from global Fortune 500 to boutique firms, across different industries to help them achieve strategic objectives and maximize performance. In addition to leadership solutions, Beiwen has done extensive work in change management and many other areas of talent management, such as diversity and inclusion, employee engagement, and team effectiveness. Beiwen is fluent in both Mandarin and English. She holds a B.A in Psychology from Skidmore College and M.A in Organizational Psychology from Columbia University. As the Co-Chair of the CT ATD Geographic Interest Group, Julia is responsible for providing knowledge sharing, resource development and networking opportunities for ATD SCC members. Julia designs and delivers facilitation and learning experiences that consider the learning style of the individual and connects content in a way that is relevant and applicable. Julia uses a visionary approach to create strategies to support organizational development. She enjoys creating an environment that considers multi-cultural populations and incorporates global components in each of her training sessions. As an advocate for continuous professional development , Julia supports employees in mapping out their career paths and selecting their own curriculum. Julia is fluent in both Spanish and English. She holds a B.S. in International Business from Central Connecticut State University and M.A from Sacred Heart University in teaching with a focus on Adult education. 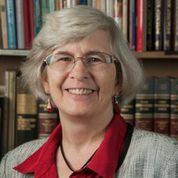 She has written articles on facilitation and effective communication and enjoys mission work annually in Mexico. Valeria E. “Val” Lopez is the founder and CEO of OnBeat Consulting, a consulting and training company, committed to helping organizations build and cultivate on-beat cultures of trust, respect and accountability. Valeria started her career in education – working in nonprofit organizations and school districts on early childhood, family and community engagement and adult learner initiatives. She then transitioned to healthcare where she has assessed, designed and evaluated programs to strengthen clinical and non-clinical team performance. Her expertise includes team development, emotional intelligence, conflict resolution and personality assessments. Valeria obtained her Bachelors degree from Manhattanville College and her Masters degree from Brown University. She is certified in True Colors Personal Success, True Colors Communication and the MSCEIT Emotional Intelligence ability model. As the Academic Relations Chair, Joe works closely with the University’s to promote student involvement of our ATD chapter. This is done through networking and visiting campuses to engage with students. Joe also assists students with all types of academic related questions and works with other Chapter Board members to help enhance the chapter. Joe holds a bachelor’s degree in Psychology from the University of Massachusetts Dartmouth and is currently pursuing a Master’s degree in Industrial-Organizational Psychology with a concentration in consulting and organizational development at the University of New Haven. He also is invested in competency modeling research and its application to organizational development. Mo is a full-time faculty member at the University of New Haven, with a joint appointment in the Psychology Department and Management Department, and teach courses to MBAs, and graduate students in I/O psychology: strategic management, human resource management, HR development, psychological testing in industry, performance management, and talent management among others. Mo earned a Ph.D. in Industrial/Organizational Psychology from New York University.